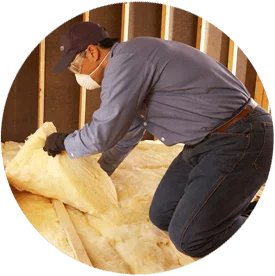 Insulation installation is a crucial element of the construction of a new residential property or commercial building. Re-insulating these locations as needed is also imperative to maintain comfort levels and save on energy costs. If you’re located in southeastern Wisconsin and are looking for an experienced, customer-focused insulation contractor, Alpine Insulation is a good name to know. We’ve been serving Appleton and the rest of Outagamie, Calumet and Winnebago counties for over 40 years. That means we’ve insulated a countless number of properties in the area and can offer our knowledge and services to help make your next project a success. Dial (866) 261-1090 or contact our insulation company online to learn more about our insulation services in Appleton. Insulation is an important part of new home construction. It helps ensure the home is as energy-efficient and comfortable as possible for future homeowners. Re-insulating older homes is also effective in helping reduce energy bills and saving money. If your bills have been higher than normal, you may need more insulation in the attic and walls. Whether you’re a homeowner who needs to add insulation to your attic or a home builder looking to rigid foam in a community of homes in Appleton, give us a call to learn more about our home insulation services. Our team also works with builders and contractors on new commercial building construction projects. The right insulation helps ensure the building will be energy-efficient and helps future owners reduce their overhead costs. If you own an older building, we can re-insulate it (and remove any old insulation). Contact our residential & commercial insulation experts online today to learn more. As part of the Installed Building Products family of companies, Alpine Insulation offers the resources and expertise few companies in the local companies can match. Whether you’re a homeowner who needs to re-insulate or a builder looking to install gypsum flooring and spray foam in a new commercial space—give us a call at (866) 261-1090 or contact us online. We’re looking forward to working with you!